All better brands including Rolex, Cartier, Patek, Breitling, Tag, etc..
We can acquire almost any quality watch at discounted prices. All our watches are guaranteed. 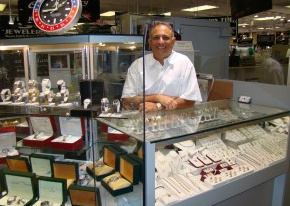 We have two locations, Here is Boca Raton Florida, and also in New York City and have over 45 years of experience in the jewelry business. We also buy diamonds, watches, and gold. We pay premium prices for high end watches. Just stop in or give me a call - you'll be glad you did!